For five days - Wednesday 14th to Sunday 18th June - Campo Viejo is taking over Waterloo millennium Green with a mini Rioja festival, including blend your own wine session, food pairings with Donostia Social Club - book here, live music and lots more. Sounds great! Brighten up your weekend with live music, street food, rule-breaking food pairings, blend-your-own-wine sessions, and sunshine. Oh, and wine. Plenty of wine. 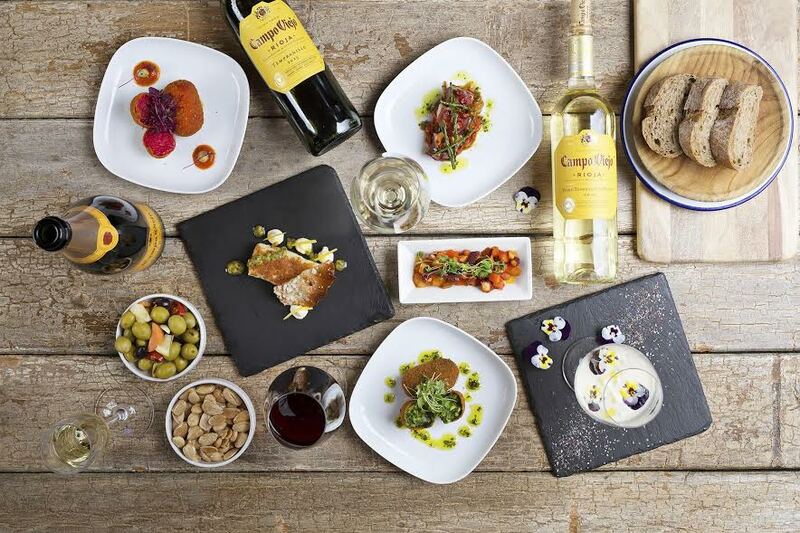 Join us at the bar for a glass of Rioja anytime, or become a wine buff at our food pairing and blending sessions. Bring your friends and we’ll bring the fiesta. Entrance is free, over 18s only. Failure to provide a valid ID upon request may result in your entry being refused. We reserve the right to refuse admission, and at busy times we may operate time limits."